Big bikes mean big money. It's great to see the ever growing number of multi cylinder motorcycles but there's one theme they all share  none of them are cheap. You want the thrill of a high powered sports bike, be prepared to shell out no less than Rs 13lakh for one. And that puts these machines quite a bit out of the reach of the average enthusiast. The Z800 is a breath of much needed fresh air in this department. At Rs 8.7lakh on road Pune this is the most affordable four cylinder machine you can buy today, by quite some margin. Relative affordability doesn't mean cheapness and the Z800 looks and feels like a proper big bike. It looks striking from every angle especially the front. An aggressive horizontal hourglass shaped headlamp sits ahead of a massive tank covered in plastic cladding along the sides. The instrument cluster is digital with large and clear readouts that stay legible in strong light. Aside from the small shrouds on the side and a tiny belly pan the bodywork is minimal leaving the mechanicals exposed. The stepped rear seat is comfy and not too extreme for short pillion rides. 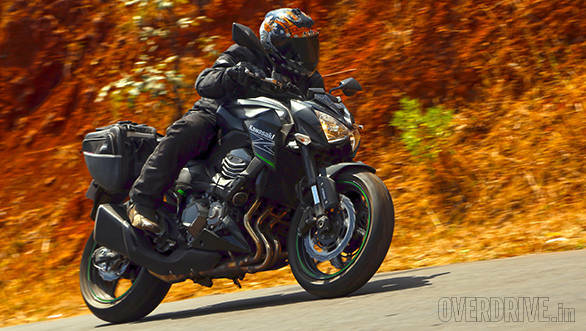 The Z800 isn't very light, especially when compared to the feather weight litre class bikes. However the 231kg is quickly forgotten as soon as the ride begins. The bike feels compact and nimble and after some brief acclimation you get the confidence to begin scything through city traffic. The riding position is sporty with a reasonable bend forward to the bar while the legs are folded up high. Again, it's nowhere close to the extreme riding position of a ZX10R but neither is it as upright as a Ninja 650. The Z800 engine displaces 806cc and produces 113PS at 10,200rpm while 83Nm of torque peaks at 8000rpm. The engine is delightfully smooth and you almost can't feel it humming away under your seat at idle. Blip the throttle and the engine responds urgently and with plenty of the aural delight we Indians love from four cylinder motorcycles. Clutch feel is stiff but not unmanageably so. Throttle response is super smooth too although it's slightly jerky when coming onto the power from a closed throttle. 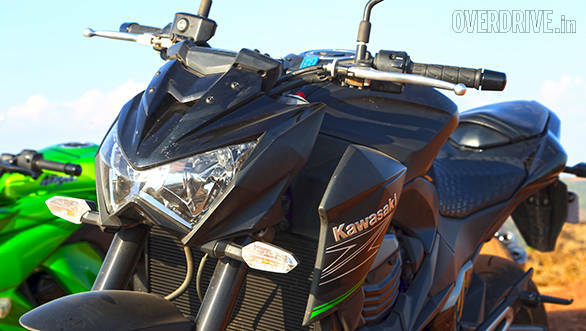 The Z800 has short gearing typical of a streetbike which makes it very rideable. The engine pulls cleanly from as low as 40kmph in sixth gear. Conversely it will go all the way upto 104kmph in first gear. The bike is equally happy being lugged around in high gears or being thrashed to the 12,000rpm redline. Claimed figures include a sub 3.5second run from 0-100kmph while Kawasaki claims a top speed of 233kmph. Like with most nakeds, anything above 180kmph becomes a physical struggle to fight the windblast. It's a seriously quick bike. 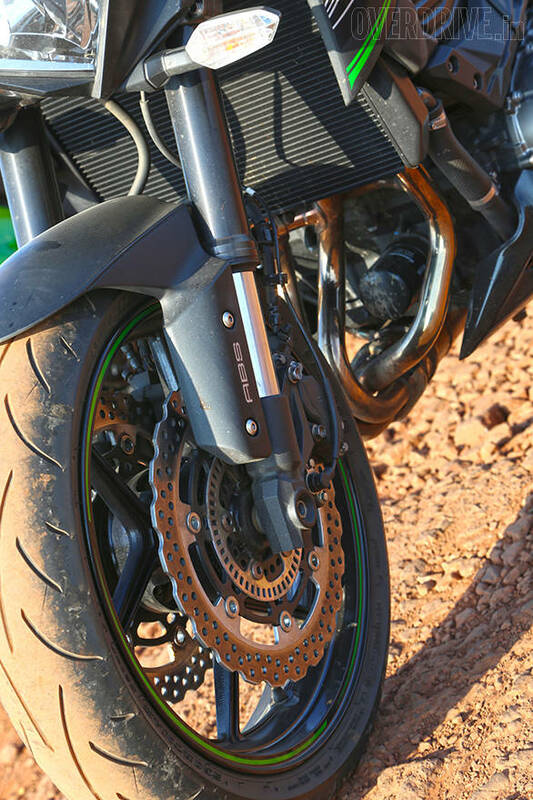 One of the nicest features of a big bike (after the power rush) is the brakes and the Z800 has a great set. The twin front disc set up offers strong bite and good progression. They aren't as sharp or ultimately powerful as the units on the bigger Z1000 but still do a great job of confidently slowing the bike down from the big speeds it is capable of. 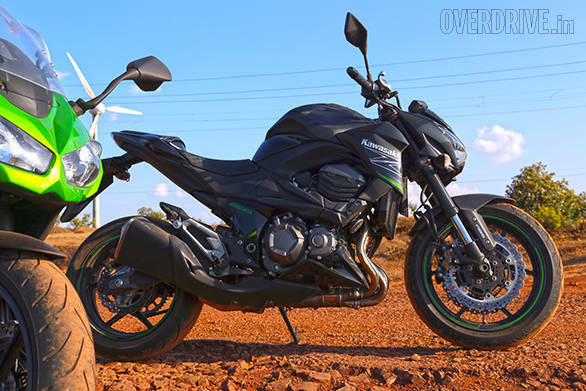 The Z800 is a stiff motorcycle as you would expect but the suspension feels nicely damped. You will feel discrepancies on the road but the ferocity of bumps is well damped. Only big potholes will have you out of the seat and under most conditions the Z800 is a reasonably comfortable bike to ride. We covered nearly 400km on it over two days and came away with no unnatural aches and pains. 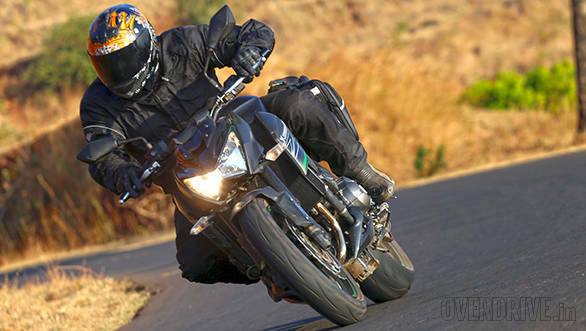 What we like about the Z800 is that it isn't some toned down commute friendly bike. This is still very much a sharp and involving machine. While it may not be as ultimately exciting in the way it generates pace as compared to the Z1000 it still has the potential to keep the rider happy for a very long time. But what we really loved is the realistic price. More people can now buy, save up or simply dream towards owning a true sports bike. Motorcycles like these are exactly what the enthusiasts in India need. Yamaha are you listening? That MT-09 would be just perfect!